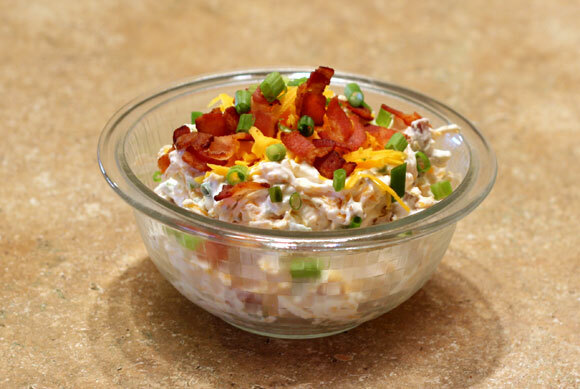 This Loaded Baked Potato Dip is deliciously packed with cheesy bacon goodness. I served this dip with regular potato chips, which added a nice saltiness to it. Mix all ingredients together in a bowl. Reserve a small amount of cheese, bacon and green onions for garnish if desired. Cover and chill for at least 1 hour before serving. Garnish with reserved cheese, bacon and green onions.